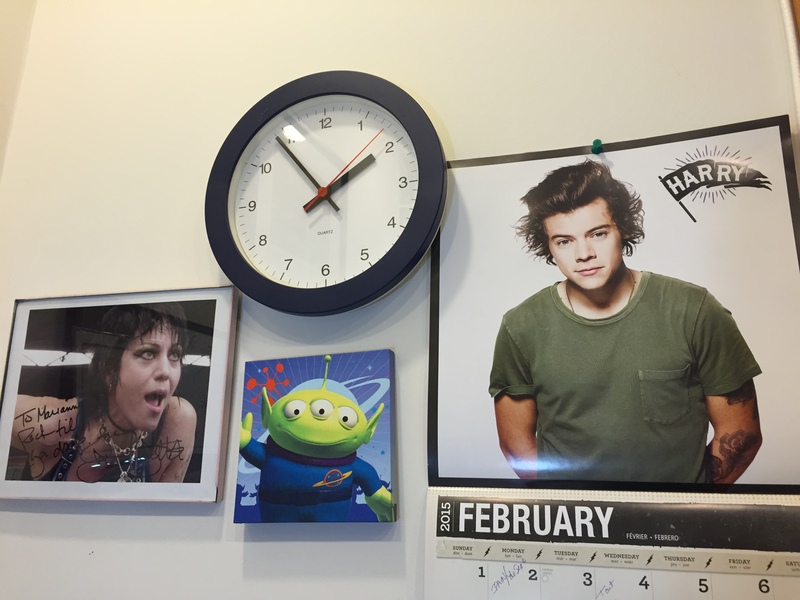 At least this February, I have the sweet face of Harry Styles looking over my shoulder as I type, as his 21st birthday (can I buy you a drink, handsome?!) on February 2 makes him my calendar boy of the month. Yes, my possibly inappropriate 1D fangirl obsession continues, but I was able to make it work with a recent story posted on AXS.com, when respected indie troubadour Martin Sexton covered a 1D song for his daughter, after she found out that Harry was following him on Twitter. 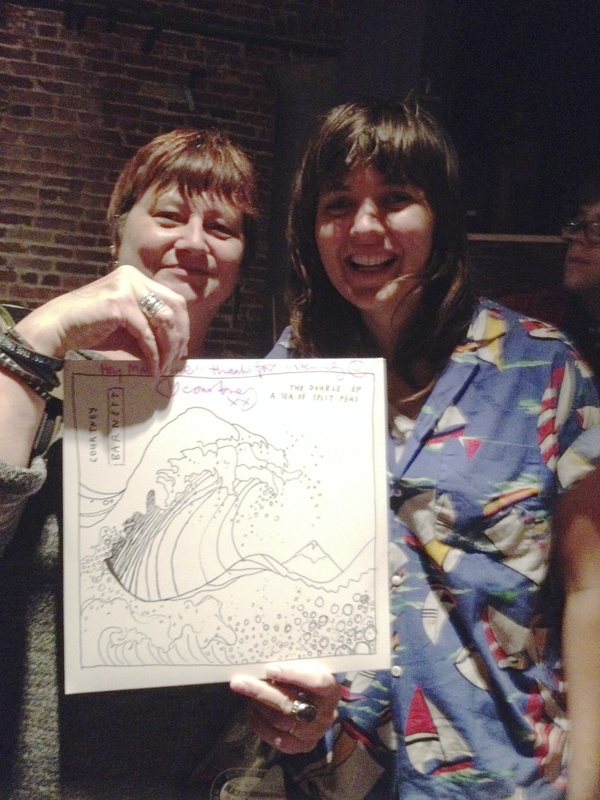 Courtney Barnett’s new single/video and upcoming album. Very excited for this as I loved her album and the show I caught last year, at the Black Cat. She was also very gracious afterwards, meeting fans and signing albums. Here I am with the cool lady. Sufjan Stevens’ new album and upcoming tour. Rapper/singer Lizzo gets coveted spot opening for Sleater-Kinney’s tour. Jukebox the Ghost and Twin Forks giving away free music and touring together. A review of The Black Cadillacs, and Knox Hamilton (a new favorite band) at Jammin Java. A review of (charming Southern boy) Christian Lopez, also at Jammin Java. Thanks for dropping by and please come back soon. It won’t all be listicles (a horrible trend in journalism, with an ugly word to match!). Somewhere along the line, I signed up for a bunch of email alerts from various musical artists in the Universal label group and they seem to have me listed as having a January 2nd birthday. I just opened a bunch of emails to find a group of rock stars all wishing me a happy day. Nice thought, but it’s curious to see how well – or not – the marketing departments handled my special occasion. Rufus Wainwright, for instance, goes directly to the sales pitch after a perfunctory HB greeting. “To celebrate your special day, why not grab yourself a beautiful Rufus box set?” And then, even if I wanted to order this 19 disc spectacular, the link connects me to a page that offers all sorts of stuff but NOT the set in question. I love you, Rufus, but that’s a major fail. The Rolling Stones say something nice (“Hopefully you have a great day and make sure you blast out a few of your favourite Rolling Stones tracks to celebrate!”) before offering a discreet link to their web store. Keane and Elbow don’t try to sell me anything, while Ellie Goulding and Florence + The Machine thank me for my support, and Snow Patrol suggest I celebrate with some good music and link me to their site, where I can stream some remixes. But you know who actually makes the moment count? The Beeb! Justin Bieber’s message includes a link to a downloadable remix of him and Usher performing the traditional Happy Birthday song as part of a campaign for the American Cancer Society. The site also offers video greetings from more than 30 artists that you can customize and send to friends. There appear to be some glitches in the system – the link for a “personalized musician phone call” leads to an error message and I’m still waiting for the Debbie Harry test video I sent to myself – but the song’s worth grabbing for future use to enthrall young friends and/or embarrass older ones. First day of the new year, sitting in a comfy chair with the new laptop (thanks, Santa!) and watching the House of Representatives try to undo the damage of the “fiscal cliff.” Didn’t Congress get the memo? It’s time to shape up, fly right and get stuff done, dangummit. Anyhoo, starting 2013 with a new O/CD Tally, this one to be handled via twitter. So, if you’d like to track the accumulation of new music that I get each day of this new annum, follow me @OCDmusicTally. There are already five albums listed (it was a good day of promo emails and surfing), three of which are freebies you can grab for yourself so I hope you’ll check it out. Tomorrow, it’s on to whatchagonnaplay.com, which is also going to get more attention as part of the CPF 2013 Resolution/Revolution.